Take your knowledge beyond foam rolling! This brand new Level 2 course syllabus utilizes the Trigger Point products designed to increase mobility and improve performance with an overall improvement on one’s biomechanics. 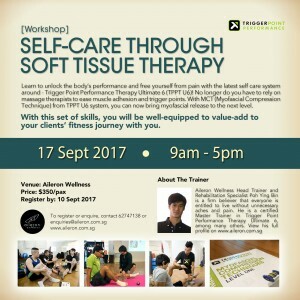 This 8-hour training is hands-on, focusing not only the science behind of myofascial compression but also the practical application of Trigger Point education backed by scientific research. 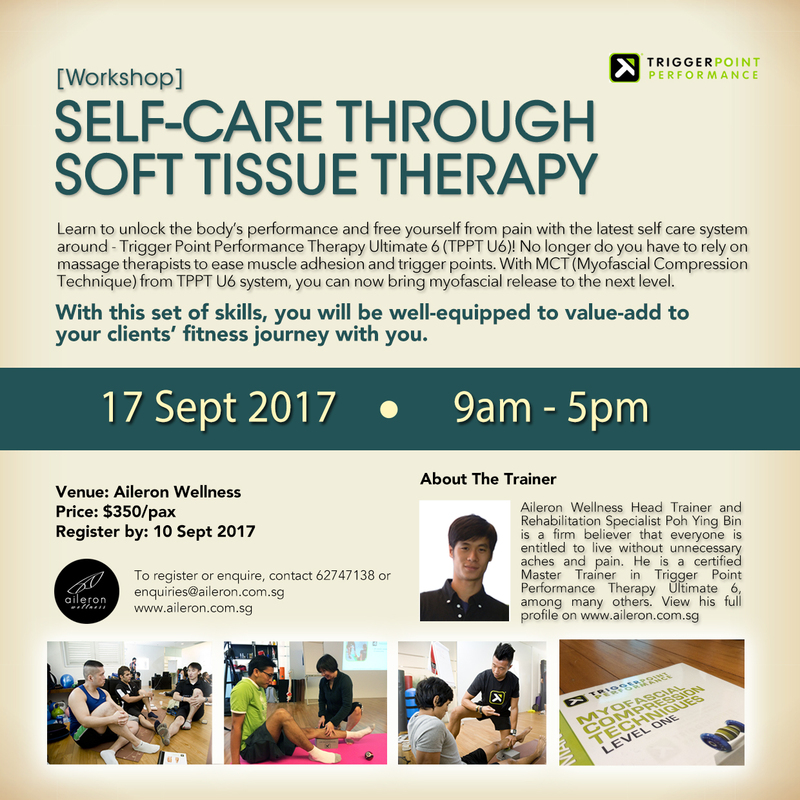 You will leave this course with an in-depth knowledge of how to use MCT in order to increase the performance and training results that you and your clients get from training. Payment mode can be in person via nets, cash, cheque or amex, or bank transfer to POSB Savings 194-49318-5. About the Presenter, Poh Ying Bin. To register please contact us. You can also download our e-brochure here.